Shawn’s monthly column from The Post Independent is below. A wise man once told me that if you can find a way to purchase real estate early in your adult life and maintain that asset, it will be the best way to build and sustain long term wealth. I along with many other first-time home buyers have taken this advice seriously. Colorado has become a very popular destination for people to relocate to, especially in the past 5-10 years. Simple economics will tell us that with increased demand, we have decreased supply, and therefore prices will rise. This trend has been going on locally for several years, and there is no sign of that slowing down in the near future. Many folks assume you must have 20 percent for a down payment and credit scores in the 700s to buy a house. Although this can help the buyer with lower interest rates or more attractive loan packages, this is not always the requirement. Buyers today can purchase a home with as little as 3.5 percent down for an FHA loan or in some specialty cases, 0 percent down. So, why do I bring this up? It’s important to realize that in our area buying can sometimes be less expensive than renting. Look at Glenwood Springs for example. Currently, the average price for a three-bedroom rental property is around $1,800 per month. On the flip side, assuming you have a small savings for a down payment, you can purchase a 3-bedroom property starting at around $300,000. A recent quote I have from a mortgage lender shows an estimated monthly payment of $1,771 on a property that costs $305,000 with 5 percent down payment. This monthly cost also includes private mortgage insurance, HOA fee, property taxes and property insurance. So the ultimate question becomes, do you want to pay your mortgage and start building equity for yourself or keep paying your landlord’s mortgage? Shawn Manwaring is a broker associate with Roaring Fork Sotheby’s International Realty in Glenwood Springs. Shawn services Western Garfield County and the lower Roaring Fork Valley. When you are considering selling your home, there are many decisions to make. More than likely you are going to contact a realtor and meet with them to learn about what they can do to assist with selling your home. When talking to real estate professionals about what they can do for you, I encourage you to ask this real estate photography question: How do you photograph our home to ensure it’s represented professionally? The reason I encourage your to ask this question is quite simple. People searching for property today rely on the internet to learn about property and see images before they get in a car and drive around. With that being said, your photos can be the difference to getting showings on your property or not. The days of realtors pulling out their cell phone and taking photos of your property are long gone (or at least should be). If your realtor is not willing to make the investment in professional photography for your property, I would question their overall committment to you. When you are ready to sell your property in Glenwood Springs or the surrounding area, contact me and I would be honored to show you how I separate myself within the realtor community outside of professional photography. I look forward to hearing from you! Glenwood Springs is a river town that just sleeps through the Winter, isn’t it? Wrong!! Glenwood Springs is actually one of the only true 4 season mountain towns that Colorado has to offer. Although we have become famous because of our world class rivers for rafting and fishing along with our hot springs mineral pools for soaking, Glenwood Springs is also a fantastic ski location in the Winter. On a very snowy day today I thought it would be appropriate to share how great the skiing can be in Glenwood Springs. Ski Sunlight (http://sunlightmtn.com/) is our local mountain in Glenwood Springs and it offers historic, small town charm with the steepest ski slope (52 degrees) in Colorado! Sunlight gives you a full day of skiing for about half the cost of the mega resorts like nearby Vail and Aspen. You’ll park for free, walk to the lifts, and never stand in line. Without the big crowds, the powder lasts for days at Sunlight. All 67 trails lead right back to the lodge where you can stow your gear, meet your family and friends, and get something hot and delicious at the grill. No matter the age or ability anyone who spends some time skiing at Sunlight is surely not to be disappointed. It’s the way skiing should be and the way many that came before us remember skiing, “to be”. You will be very happy if you decide to make a day trip or weekend trip to Ski Sunlight. In addition to the ski mountain, downtown Glenwood Springs offers a variety of boutique shops, hot springs and family activities for you to enjoy after a day on the slopes. If you love it so much you decide to relocate here, I would be honored to show you the local real estate market that Glenwood Springs has to offer. I hope to hear from you soon! Many people think the idea of buying or selling real estate during Winter is a crazy idea. This is especially true if you live in a Colorado mountain town like myself. I have had this conversation several times recently with clients and so I thought it would be helpful to share some insight to what the actual experience looks like to buy or sell during the Winter months. Inventory is generally lower. As we study history of the market it is almost always going to show that inventory levels are the lowest during the Winter months. This is good for sellers because they will likely attract more buyers and be able to market their property at top dollar. Buyers who are shopping in the Winter are serious. Unlike other times of the year where a casual Saturday might consist of popping into some Open Houses around town just because, that is not the case in Winter. Folks who are out in the conditions looking at property are serious about buying and want to find their property to purchase today. Interest rates are on the rise. You have probably seen over the last 30 days that The Fed has raised the prime rate for mortgage loans and many analysts are predicting this to happen 2-3 more times in 2017. 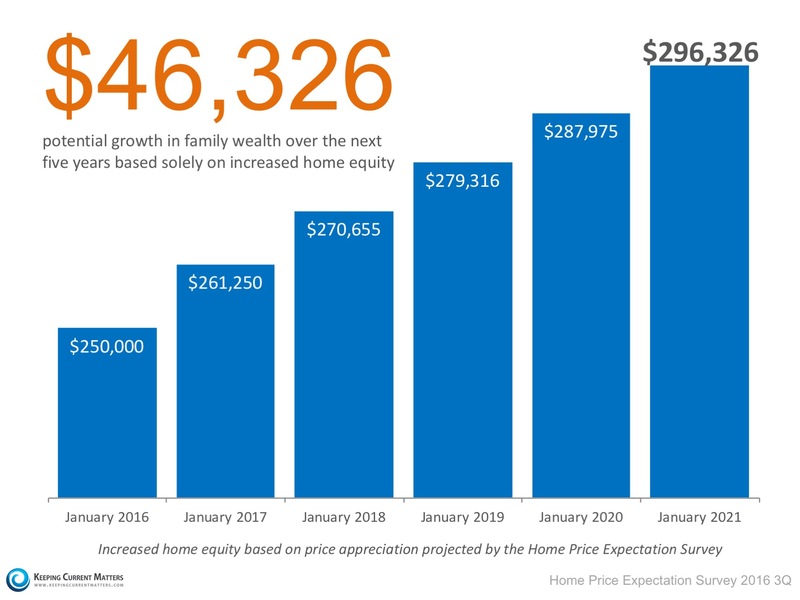 With this being said the buyers purchasing power is going to start to decrease based on what they can afford with increasing rates. Basically if you are considering purchasing, it might be better to get it done with now before another increase in rates. Snow covers up landscaping. This seems like a dumb thing to mention but imagine buying a property with a huge back yard that you are very excited for in January but come April when the snow disappears you have nothing more than a hard packed dirt area that you thought was going to be lush green grass. Ask your realtor or seller if there is a way to see some photos of the property from the Summer time to be certain. Have a plan to transport your belongings after you close. Again this seems like common sense but make sure to line up an enclosed truck or trailer to protect your belongings on moving day. I hope you find this article helpful and if you are considering buying or selling during the Winter you are now more confident about that decision. Whether you are considering buying or selling, please feel free to contact me anytime to discuss your goals and we will personalize a strategy that fits your situation and get to work to accomplish those goals. Interest rates are still at historic lows, making it one of the best times to secure a mortgage and make a move into your dream home and start paying a mortgage that you own! Freddie Mac’s latest report shows that rates across the country were 3.43% last week. If your real estate search brings you to Colorado, contact Shawn Manwaring and he will be delighted to assist you!